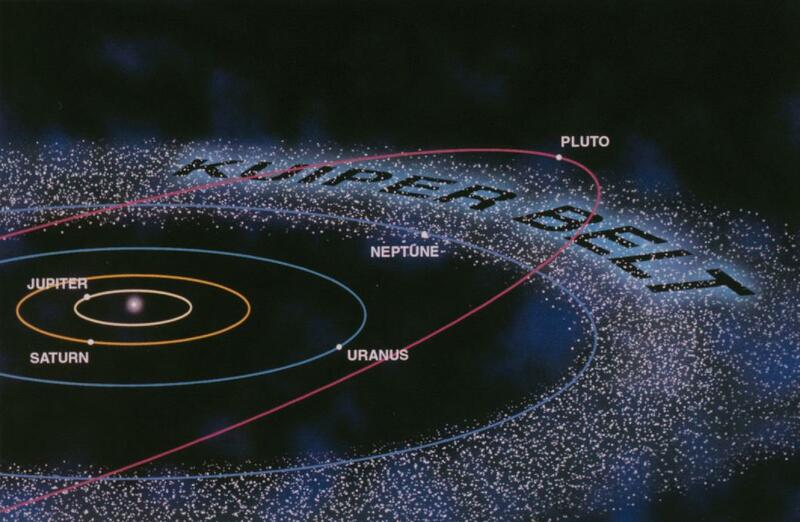 Thousands of objects exist in the Kuiper Belt, including possible planets. And we're on our way there. Pluto is the best known Kuiper Belt Object. It sits on the very edge of the belt that runs around the planets in our solar system. It’s just beyond Neptune, and thousands of objects exist here—including possible planets, small moons, and comets—all of which remain from the formation of the solar system more than 4.6 billion years ago. “(These) objects that have essentially been left untouched since the solar system formed,” said Daniel Batcheldor, head of the Physics and Space Sciences at Florida Institute of Technology in Melbourne. And next year, NASA’s New Horizons spacecraft is set to pass by Kuiper Belt Object 2014 MU69, located a billion miles beyond Pluto. But that’s not all—New Horizons could visit 20 different Kuiper Belt Objects. Not exploring the Kuiper Belt would be like leaving out the Pacific Ocean on a map of Earth, said Alan Stern, New Horizons principal investigator. The area is simply massive, and represents some of the earliest epochs in our solar system’s history. If you think we learned a lot from New Horizons flyby of Pluto, imagine what this next phase of the mission will tell us about the mysterious frozen world. Especially since, according to Batcheldor, KBO 2014 MU69 will actually be a better representative of the Kuiper Belt because it is much farther beyond Pluto. Despite the anticipation surrounding this new destination, the astronomy community is still waiting to receive all of the data from the Pluto flyby that took place this past summer and all the new images gathered by New Horizons. Unfortunately, this won’t be transferred anytime soon, as the data from the mission is still only about halfway done downloading to Earth. If you thought your internet was slow, imagine waiting over a year to get the data you need (the download won’t be complete until October).